I’m heading out on a weekend-long road trip with my beau tomorrow and I’ve got to be honest—instead of thinking about the fancy condo waitin’ for us (there’s a fireplace!) 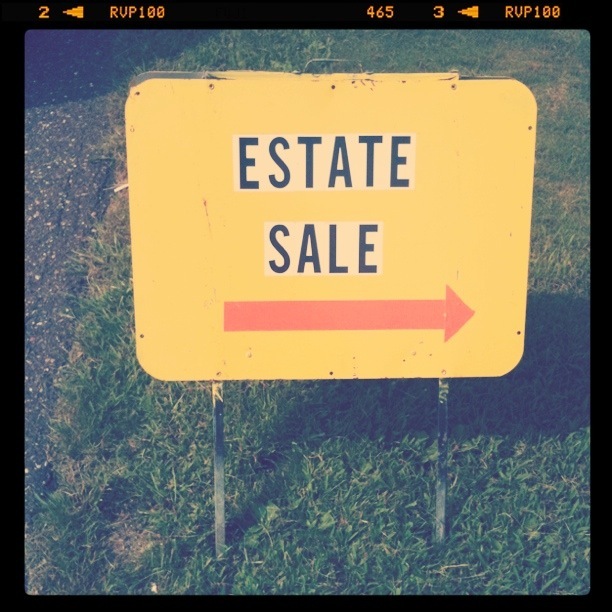 or all the fun things we’ll do and see, I’ve been busy daydreaming about the thrifts we’ll be hitting on the way! It’s a cheap, addictive thrill, exploring out-of-town thrift stores. But in order to maximize your time and not miss any gems, there’s a fair amount of preparation to do before you hit the road. Since this topic’s fresh on my mind, tonight I thought I’d quickly share a few do’s and don’ts for thriftcation planning. ♥ Ask around. Before I embark on any significant thrifting trip, I ask friends and acquaintances familiar with my destination for their suggestions. Don’t know anyone where you’re headed? That’s what Twitter is for! Another trick: Once you’re shopping around a small town thrift, ask an employee if there are any other stores in the area. More often than not, they’ll have great suggestions for you. ♥ Do map out your route. Look to see what towns are on the way, and then look up to see what stores are easy to access from the highway. I have three must-stop-spots between Minneapolis and my hometown that are within a painless five minutes of I-94. It just seems silly not to pop in when they’re right there! ♥ Do update your apps. My most recent happy app discovery is the FREE Craigslist app. You can find details about the other iPhone apps I rely on when I’m out thrifting here. ♥ Do keep your eyes open. Tons of estate sales, flea markets, garage sales and thrift store listings never find their way to the great world wide web. Gas-station signs, church bulletin boards, fliers on a telephone pole, ads in a community newspaper, sandwich board signs—look out for them all! ♥ Don’t blow your budget just because you’re out of town. It’s easy to lose your head when you’re on the road, trust me, I know. Avoid buyer’s remorse by staying true to your normal high standards for quality. ♥ Don’t ignore who you’re thrifting with. My boyfriend has a saintly level of patience when it comes to my thrifting addiction, but even the most heaven-sent companions have their limits. Don’t wear your partner in crime out or you might not have a buddy for your next trip! I hope these dos and don’ts come in handy the next time you set out to plan a road trip. As for me, I’d better sign off so I can finish packing…our 5 a.m. departure time is going to roll around before I know it. I hope y’all have beautiful weekends! 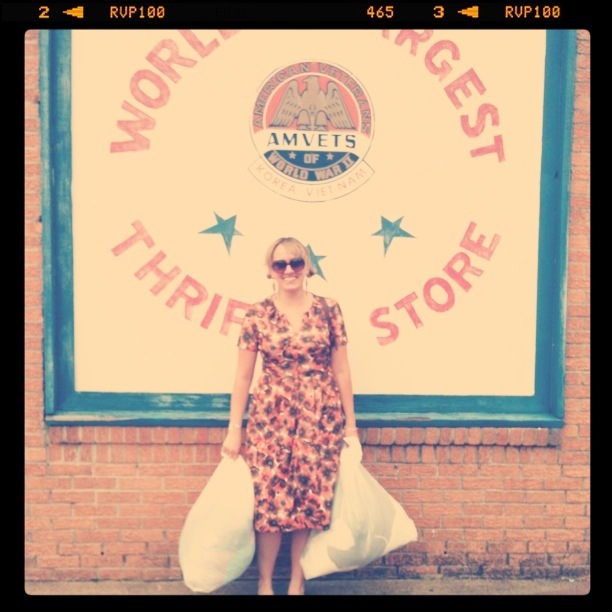 This entry was posted in How-Tos and tagged road trip, thrift-store shopping, thrifting by highplainsthrifter. Bookmark the permalink.